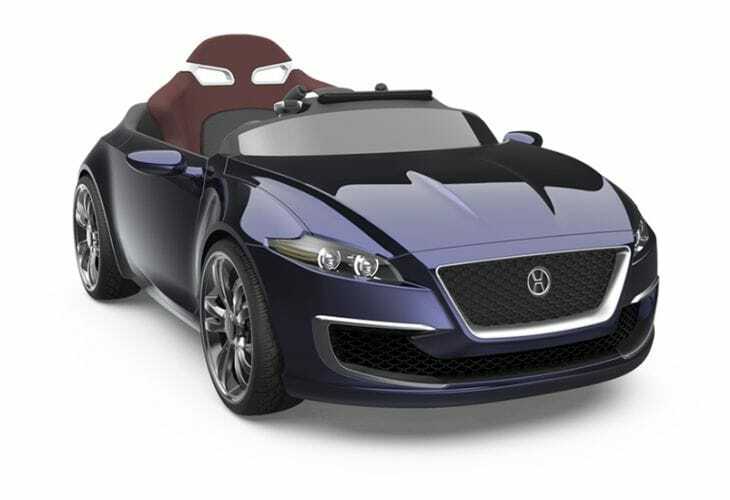 When it comes to luxury electric cars for kids the Broon from Henes Co., Ltd provides attractive little vehicles that come with 4-wheel drive and a sound system. What more could the everyday child want in life, well looking at the pricing these luxury models seem to be so reasonably priced they are accumulating plenty of interest from adults. The red car shown in the image above is part of the Henes Broon F Series and this sporty option is a step up from the average form of transport for kids. In an informative article on Wired they discuss the specifications of this third-generation Henes Broon, and document the slick exterior as some may regard these more of miniature cars to a toy. Everything from disc brakes to independent suspension systems can be found on these models with differential steering regulated by aluminium-alloy gear trains, as well as four-wheel drive on the fully loaded versions. The doors, hood and trunk all open up like they would on a normal car including functional tail lights, brake lights and headlights, as well as turn signals. Inside the main cabin these motors are available with a swank leather seat, an MP3 player with stereo speakers and a removable 7-inch Android tablet, which can double up as an infotainment centre and dashboard. In addition, there is also a “simulation mode” that can be used with the tablet to teach kids about driving and racing onscreen. A Bluetooth remote allows parents to take over control for those little petrol-heads that may get carried away and there are plenty of optional models available as Henes commences work with big names like Mercedes-Benz, Jaguar and Porsche. Each motor has a top speed of around 10mph, although this can be restricted to 5mph by concerned parents. Although the prices have not been fully finalized yet, a Henes rep gives us the impression the fully loaded versions of the F, T and M series will retail for around $800, although optional features could bump this up. Either way, we feel that $800 is a very reasonable price and by looking at them we expected these to go for much more, in fact, I’ve even thought of getting myself one. Check out the models on offer on the official Henes webpage here. Henes Broon F SeriesHenes Co. Ltd.